Two turntables, a couple of microphones and energy turned all the way up. Both DJ Alive and Lil Thrilla of the Nu BRL show know how to get the ladies and gents lost in the rhythm and glued to the dance floor. When the sounds of scratching echo through the speakers and when DJ Alive pulls out a real vinyl record the audience knows they are in for a real treat. Lil Thrilla’s smooth baritone voice and hype man skills keep the audience dancing and singing along to a seamless blend of classic hip-hop and current hits. 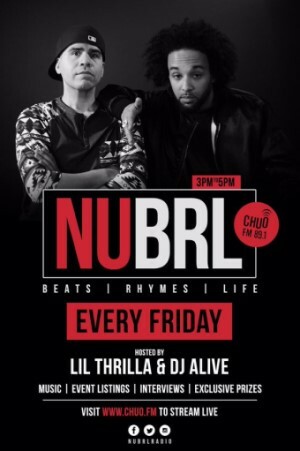 The Nu BRL (Beats, Rhymes, Life) show can be heard on CHUO 89.1FM, every Friday from 3-5pm.